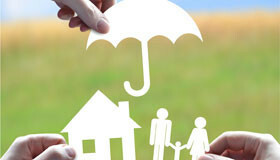 Umbrella coverage offers significant additional coverage for you, your family, and your property. This extra layer of liability protection applies to most of your personal insurance policies, including, home, condo, renter’s, auto, boat, and other vehicles. Coverage ranges from $1 million to $5 million above your other personal insurance liability limits. This guards you against catastrophic liability situations. Bodily injury and property damage for an accident that exceeds your auto, boat, or recreational vehicle liability limits. Bodily injury in the event of an accident on your property, or other accidents for which you may become liable. Lawsuits and legal costs relating to invasion of privacy, libel, slander, and defamation of character. Defending yourself from a liability suit can be financially devastating. Today, many lawsuit verdicts can run into millions of dollars, putting you and your family at risk. Your umbrella policy, if coverage applies, relieves you of the burden of providing for you own defense.